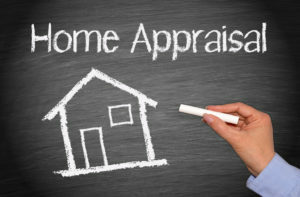 Wether you are looking to refinance or sell your home, you are going to need a home appraisal. How to get the highest value on your home appraisal? You are going to need to prepare your home prior to the appraisal to maximize value. By preparing your home before the appraisal not only maximizes value, it also ensures that the process is not jeopardized. If your appraisal doesn’t go well, your refinance or sell may become more stressful than you could imagine and your deal might fall flat. To best prepare for your appraisal, you are going to want to become familiar with the appraisal process. 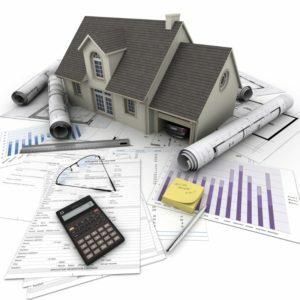 You will want to put your homes best face forward in order to obtain the best valuation of your home. Before an appraisal, try to look at the interior and exterior of your home addressing any issues so that your house looks clean and well-kept. 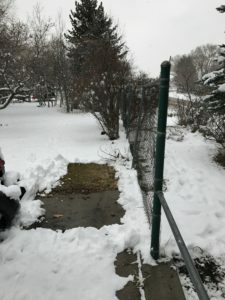 If weather allows, mow and trim the lawn. 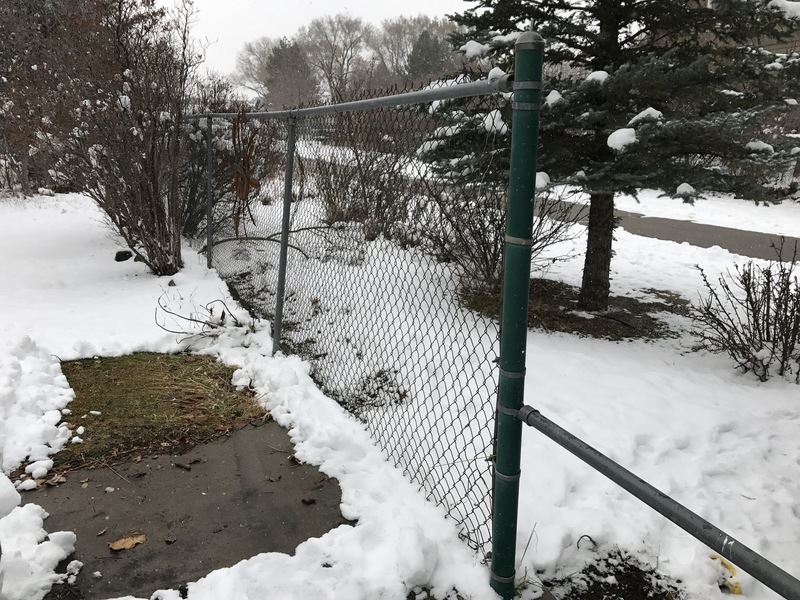 Address any broken fence areas, stairs, guard rails and down pipes. Clear debris and trim plants from the walkways. Next take a look at the exterior of your home. Do you have any peeling paint, cracked or missing bricks? Peeling paint is one of the big things appraisers looks at. Peeling paint can quickly tie up FHA mortgages and sometimes even kill the loan. 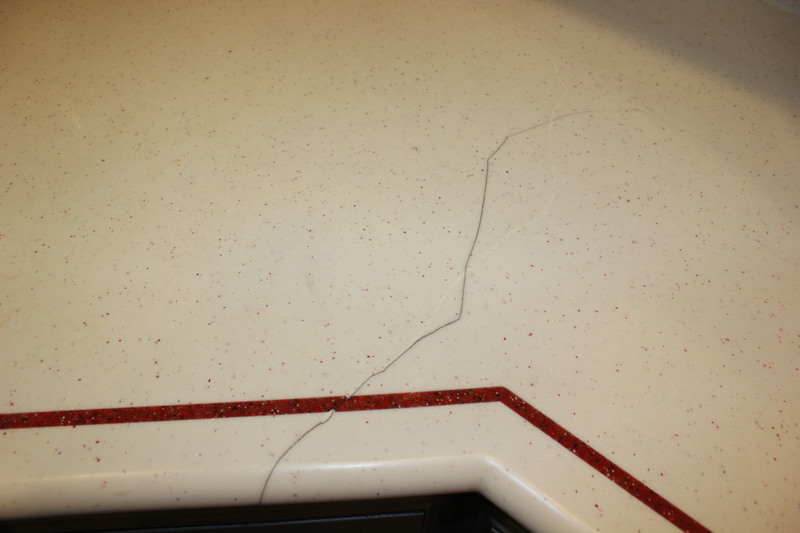 It is absolutely worth your time and money to repaint any worn or damaged areas to avoid any hold ups. After you’ve addressed everything outside, enter your front door and get a look at everything through your appraisers eyes. A clean and organized home projects a positive view and can increase the appraised value. If your home needs some relativity-minor repairs, they may hurt your appraisal. Fixing or replacing all non-functioning doors, torn screens, worn out carpet and basic plumbing and light fixtures may not cost you much time or effort and may make the difference between a higher condition rating. You don’t need to do anything special for your appraiser. Just allow them to do their job efficiently and effectively. Give them space to work, allowing them to complete their process without asking questions that distract and keeps them from focusing. Questions are best kept for the end of the inspection once they have completed their process. If you have a dog, lock them up to keep them from jumping or barking at them while working. Again, your questions are welcome and the appraiser is happy to answer them after they have finished gathering the necessary information. A new water heater, furnace, air conditioning unit, etc. 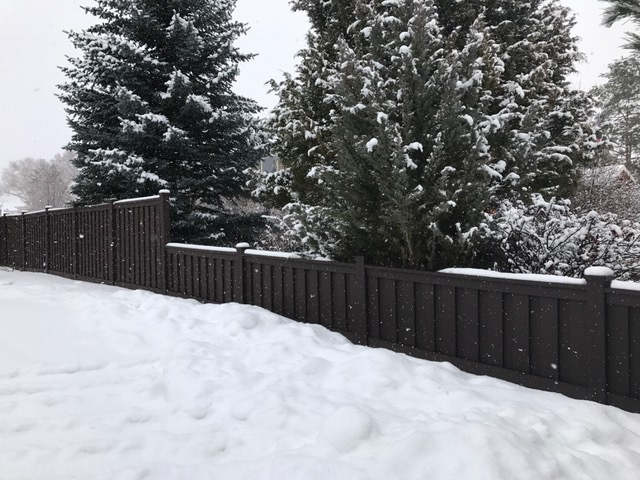 might not be visible to the eye, point it out so that your appraiser is aware of it and can give you the credit for your updates. 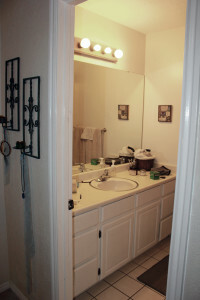 Many people offer a printed list of the home repairs. This is helpful and appreciated by your appraiser. The bottom line is to get the most out of your appraisal without too much stress. Appraisers are trained to be careful and fair in their inspections, you just want to make it as easy for them as possible to see the value. An appraisal is simply an expert opinion of the value of something. Understanding the appraisal process will help you better navigate through your mortgage process. The appraisal process is a series of actions that provides you with a final opinion of value. First, your lender will order the appraisal (usually through a 3rd party). This puts them as the client, not you, even though in most cases you will be paying for the appraisal. You are entitled to a copy of the appraisal, which will be provided by the lender, after the appraisal is complete. Next, the appraiser receives the order and does preliminary research of your home, neighborhood and market area. They will be looking for homes of similar “dominant features” or “market movers” that could be used as comparable to your home. – Have you added or subtracted any square footage since purchasing the home? – Does the home have a basement? Is it finished? – Have there been any updates or remodeling recently? Any information that may have changed since the last transaction of the home is helpful to the appraiser in order to get a good idea of the property beforehand. 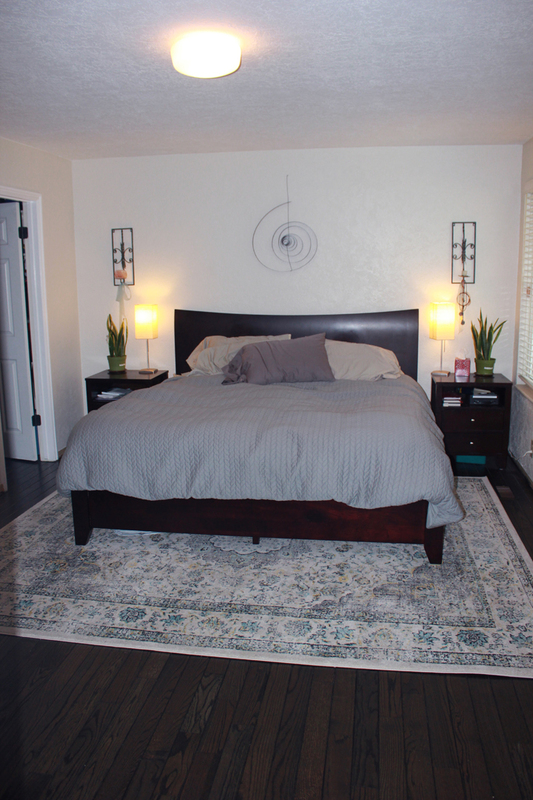 Alert your appraiser if your home has had any added or subtracted bathrooms, bedrooms or garages. Be clear, concise and try not to exaggerate the condition of the home. An appraiser cannot talk to you about value. Don’t ask. Guidelines do not allow an appraiser to talk to you about value, it jeopardizes the process so it is best to not go there. 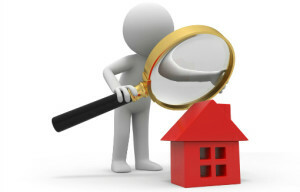 The inspection is the shortest part of the appraisal process. The appraisal inspection will take 15 – 45 minutes depending on the size and complexity of your home. The appraiser will take interior and exterior photo’s, measure the property, and determine the quality and condition of your home. The appraiser will note any deferred maintenance, upgrades, functional obsolescence, and/or safety hazards. After the inspection, the appraiser takes the data gathered and compares it to homes of similar “dominant features” or “market movers”. The appraiser will select homes and drive the neighborhood to gather additional data. All data collected is reviewed, analyzed and communicated into a supported value opinion known as a final report. The final report is submitted to the 3rd party AMC, reviewed and transmitted to the lender who then provides a copy to you the borrower. Now that you know what an appraisal is and you understand the process get to know How to Prepare for an Appraisal To Get The Highest Value. Deferred Maintenance is neglecting to fix any worn or broken things in your home. Generally speaking, allowing deferred maintenance in your home can decrease the value of your asset. It may result in higher costs over time and in some cases, cause health and safety hazards. How does Deferred Maintenance Impact My Home Appraisal? Deferred maintenance can impact your home appraisal in a couple of different ways. At one end of the spectrum, it can effect the value of your appraisal or sale. At the other end of the spectrum, it can kill the possibility of your loan or home sale. Properties must meet certain minimum standards before a lender will accept a loan. If the deferred maintenance is significant enough, the mortgage company will ask for repairs or decline the loan. If a buyer needs a loan and the lender will not accept the condition of your home – no sale. Broken windows, water issues, electrical problems, and even peeling paint can delay the process and impact the loan acceptance. Less significant items like, stained and worn carpet, missing baseboards, patchy paint, holes in the walls or ceilings, etc. can also have an impact on your appraisal process. These items might not kill the deal but they won’t help. 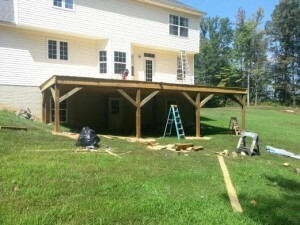 Repairs can be found on both the interior and exterior and frankly anywhere on your property that has been neglected. 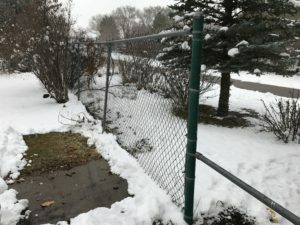 Fences, in disrepair may be considered a safety issue. Broken hand rails and even peeling paint can all effect the condition of your home appraisal and impact the green light on your loan. Today, an appraiser rates the condition of your home considering the deferred maintenance and the general condition of your property. They do this by using a series of condition ratings numbered from one to six. C1 is generally new construction. C2 or C3 have few, if any, deferred maintenance or repair issues. C4, C5 or C6 homes, have visual deferred maintenance and repair issues requiring sometimes significant attention. Once your home has been assigned a condition rating, it is compared to other home conditions in the neighborhood. If the condition of your neighborhood is generally above that of your home, the appraiser will make an adjustment down for the difference. This is not necessarily what you want when trying to obtain a loan for maximum value. Deferred maintenance further impacts your home when trying to sale. Prospective buyers might not appreciate your worn out carpet or the paint job your friend tried to help you with. The offers you receive might take repairs into consideration with the overall price offered. This often costs you more then it might have to just fix it in the first place. How to avoid Deferred Maintenance? Keeping your home up to date, free of repairs and in general good condition not only helps you with your home appraisal and loan possibilities but it keeps you free for all transaction possibilities. This allows for the highest asset appreciation, which in the end is good for everybody. 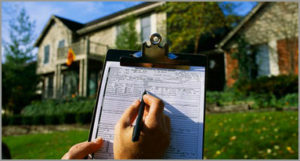 If you are in need of a real estate appraisal, it is a good idea to walk around the inside and outside of your home. Look for anything you can easily repair prior to the inspection. This saves you time and money and speeding the loan process for a smooth transaction. Take a look at the following pictures to get an idea of what an appraiser sees as they enter a room. 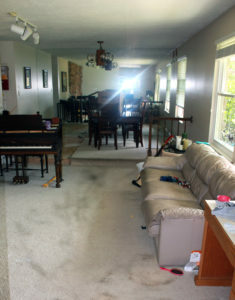 Broken fences and windows, missing flooring and dirty carpet give you a less appealing view of the condition. New flooring, windows, paint and fence gives an overall feeling of “pride of ownership” and thus a higher condition rating. A small, out of date, bathroom is not going to kill you, especially if you are not looking to sell or take money out of your home. 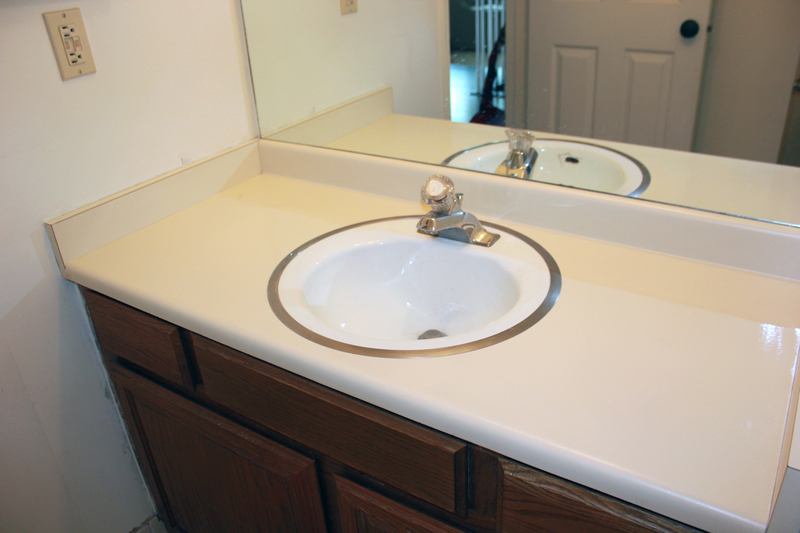 But if your out of date bathroom is not functioning properly, you could be causing yourself and your home more problems down the line and that can spell trouble with an appraisal. Case in point: my small bath is original late 1970’s. The tile in the shower again original. 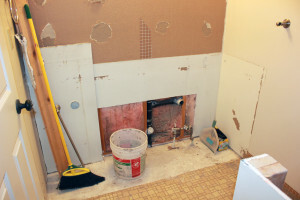 The problem lies not in the small space or the yellow flowered tile but the lack of grout in several areas in the shower and surrounding areas. I hadn’t noticed but water was starting to leak through these areas and not only was water starting to find its way to the basement, there was moisture getting trapped in the walls. Not Good! My small, out of date bathroom was starting to become more of a problem then just looks; my out of date, small bathroom was causing additional damage in the home. It was time to go. 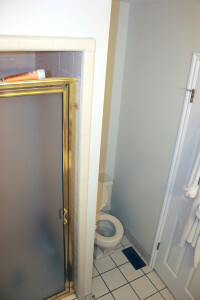 We needed to Maximize A Small Dated Bathroom Quick! As we have talked in previous posts, knowing your neighborhood market area and what improvements your home can support is important before you start any improvements. You don’t want to spend the time and money investing into a new space only to hear from your appraiser that you have an over-improved space. The best way to learn what kind of improvements your neighborhood supports is to look at your neighborhood. Look at similar sized homes with a similar age in your immediate neighborhood. Then find out what kind of updates those homes have? What additions and improvements are made to the bathrooms? Finally, take a look at what the updated homes are selling for vs. the original homes? And if it is necessary, look at other competing neighborhoods. Along with looking at what improvements your neighborhood will support – take into consideration your needs and any possible life changes that might occur in the next 2 – 8 years. Is there a possibility of you needing to sell your home in the next 2 – 5 years? . . . 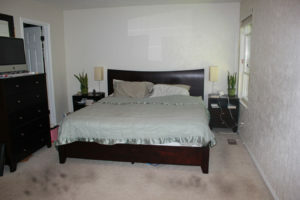 If so, you are going to not only want to consider your immediate needs but the overall appeal to prospective buyers. Is your family size going to grow in the next 2 – 5 years? How do you use the bathroom? Do you enjoy soaking in a tub? Are you strictly a shower person? Do you hate the cold floors in the winter? Are you looking to create a spa experience or is this a space of strictly necessity? Take a look at your needs and wants and what your neighborhood will support. Then create a plan. We have a dated small bathroom. We needed to maximize that dated small bathroom. We debated increasing the size of the bathroom but honestly the tiny house craze had me wondering why? 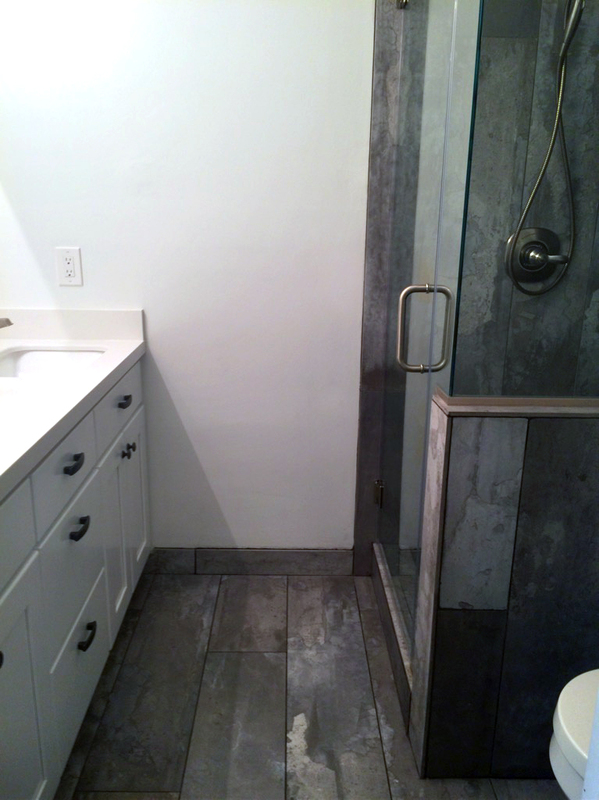 The bathroom is big enough for our needs but we needed to open up the space and maximize the functionality of the bathroom. 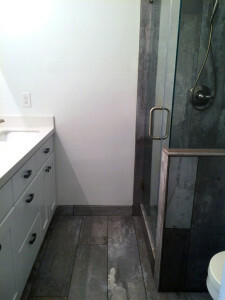 The bathroom door opens into the space, the space is small so flipping the door around to open into the bedroom would save space and be an easy, low cost fix. We considered a pocket door but with the layout of the bedroom the door easily flowed well into the space. The shower is big enough but the ceiling drops over the shower and the three sides are all walled and it feels very closed in. We decided on cutting out the dropped ceiling, raising the shower head, creating a pony wall toward the toilet to open the space. After much debate we also decided the small space needed a bang: A Mr. 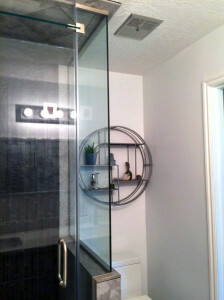 Steam shower and a frameless european glass would be a statement! Those first three requests were the big priorities and everything else fell around them. 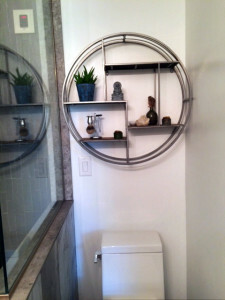 1 The bathroom is not a weekend project, especially if your contractor works for just a couple of hours and you do not have all of your components on site. 2 Order your components before Demo. 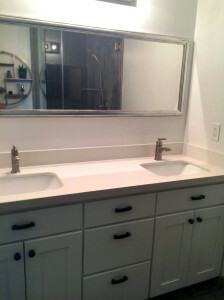 Our contractor kept saying we had time to order the vanity but when we actually wanted it here there was a shortage. Waiting on a vanity is not fun! Order early! 3 I exhaustedly researched steam showers. I looked at the pros and cons. I looked at the steam pods vs the separate steam generators. I looked at the benefits of dry heat vs wet and finally settled on the Mr. Steam separate steam generator unit. Something to think about when creating your steam shower is the bigger you go the bigger the generator and the more enclosed glass you will need. 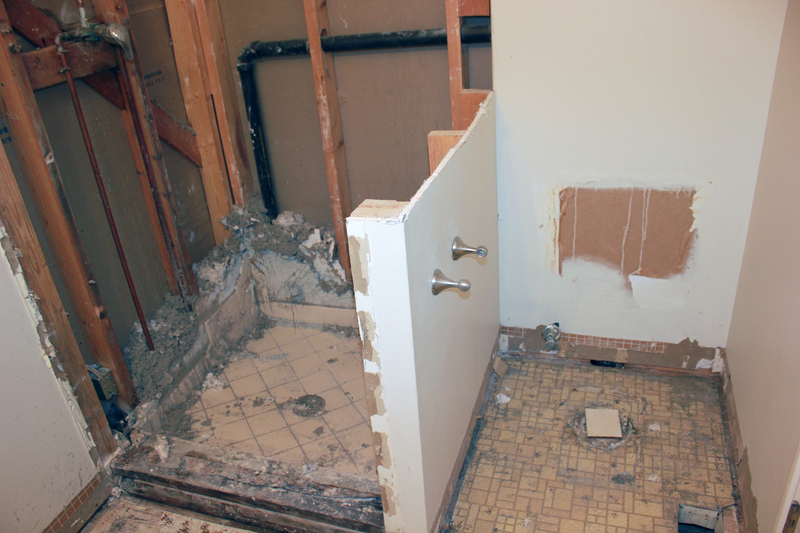 After getting into the rebuild of the bathroom, I was really glad that I stayed with a small shower. I was able to get a smaller generator (less cost) and although the european glass was expensive it wasn’t nearly as expensive if I would have created the shower across the entire back wall. 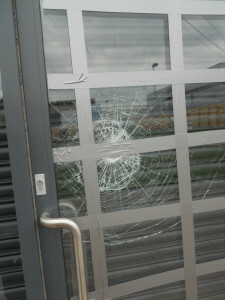 4 Not all European Glass is created equal. I received three quotes for the European Glass. All of the quotes were for the same dimensions and I was told all of the quotes were for a steam shower. All of the quotes were significantly different in price. And only one of the quotes would have been adequate for a steam shower. The other two quotes said it was for a steam shower but they also stated water would leak here and there and if water is going to leak – your steam is going to leak and that is not ideal. Beware of that when getting quotes for a steam shower. If you live in Northern Utah and want a great steam shower go to Chuck with European Glass. They will do a fantastic job! Demo was fun and very interesting. I was surprised by how quickly it went. I was also surprised that it was up to me to dispose of everything. (Note to self – next time arrange a dumpster prior to demo). I was amazed at how much moisture was leaking from the shower. 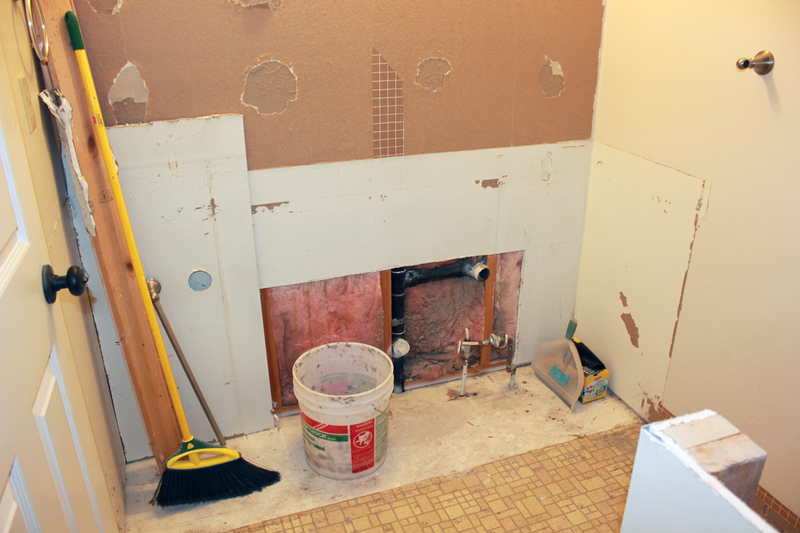 The shower pan wasn’t even constructed properly – Luckily there was no mold or major repairs needed due to the leaks. Without adding additional sq. footage to the bathroom it was amazing how much just flipping the door, raising the ceiling and creating a pony wall added to the space. It felt larger, it opened the space and was a great start to the project. From there it was fun picking out tile, the hardware and fixtures. We decided to go with a grey concrete tile that we scored from Contempo Tile, that I have absolutely loved. I want to add it to several other areas of the home as well. 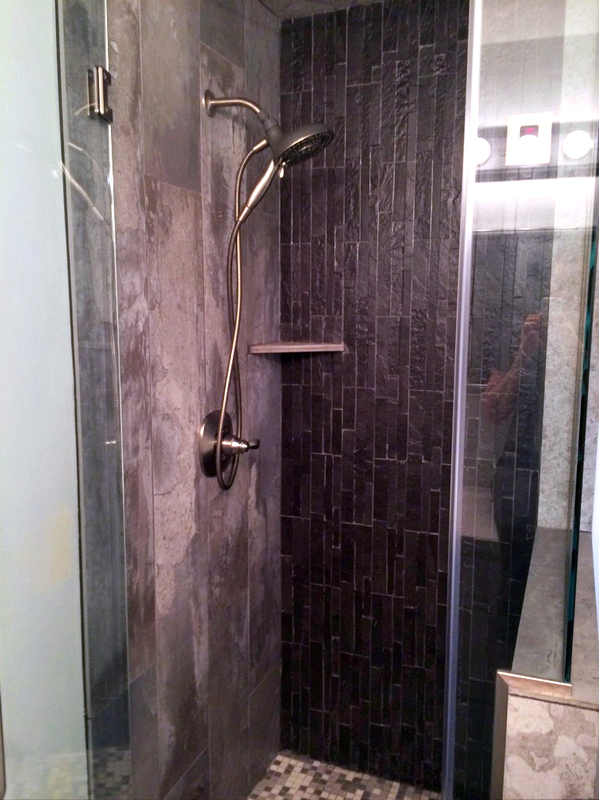 We accented that with a textured charcoal accent wall and dark grout. I have loved the effect! 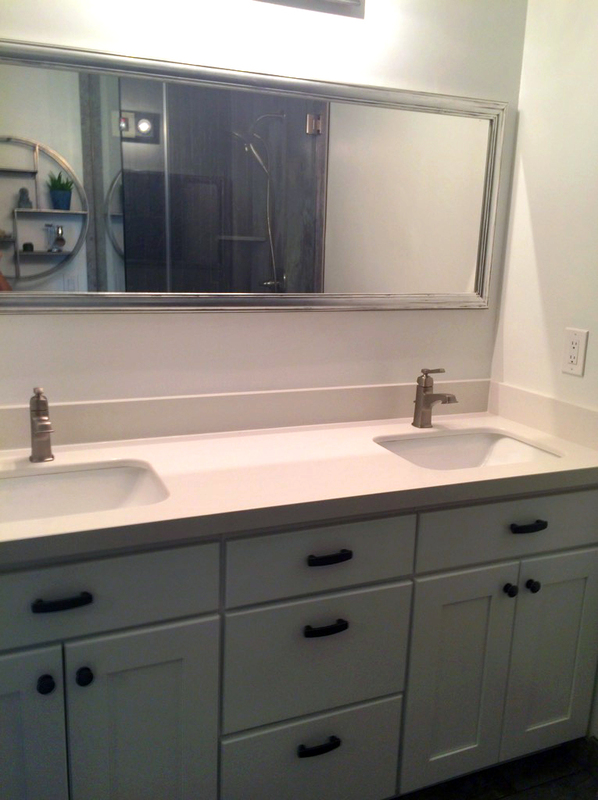 Not only did we save ourselves a ton of money by not adding square feet, our small dated bathroom definitely got the make over and has become a maximized space. The bathroom is large enough for our needs but has a cozy spa feel that works perfectly for our family. And in case you are wondering, the Mr. Steam shower is definitely worth every penny! An FHA Loan is a mortgage backed by the Federal Housing Administration (FHA). This means that the government insures the loan providing less risk for the mortgage lender in case the mortgage goes into default. If you are currently looking at refinancing your home with a FHA Loan, you will need to keep a few things in mind when getting your FHA appraisal. Your appraisal will have to be completed by a special FHA approved appraiser. This approved appraiser will look at all the factors a regular appraisal would require but takes a more in depth look at any risk, health and safety issues of the home. •Above all, the home must be habitable and comfortable, without any potential hazards to the occupant. •The lot should be graded to allow water to drain away from the home. 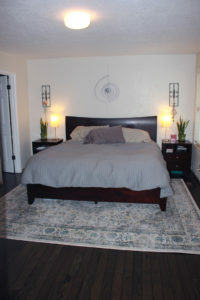 •All bedrooms should have an exit to the exterior of the home. •Many homes built before 1978 still contain lead-based paint, which is a potential health hazard. 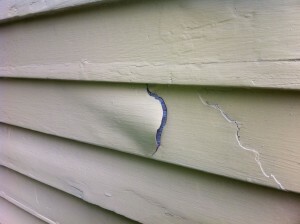 In these homes, the appraiser will check for damaged paint (peeling, chipping, etc.). Such conditions must be corrected before the loan will go through. •All steps and stairways must have a handrail for safety. This is a common area of correction. •The heating system must be sufficient to create “healthful and comfortable living conditions” inside the home. •The roof should be in a good state of repair and must keep moisture from entering the home. •The foundation should be in good repair and able to withstand “all normal loads imposed” on it. *Note to the homeowner – If you have any of these needed repairs, it is a good idea to fix it prior to the appraisal. That way your appraisal will be marked as is and you will avoid any additional appraisal costs for additional inspections and reports. 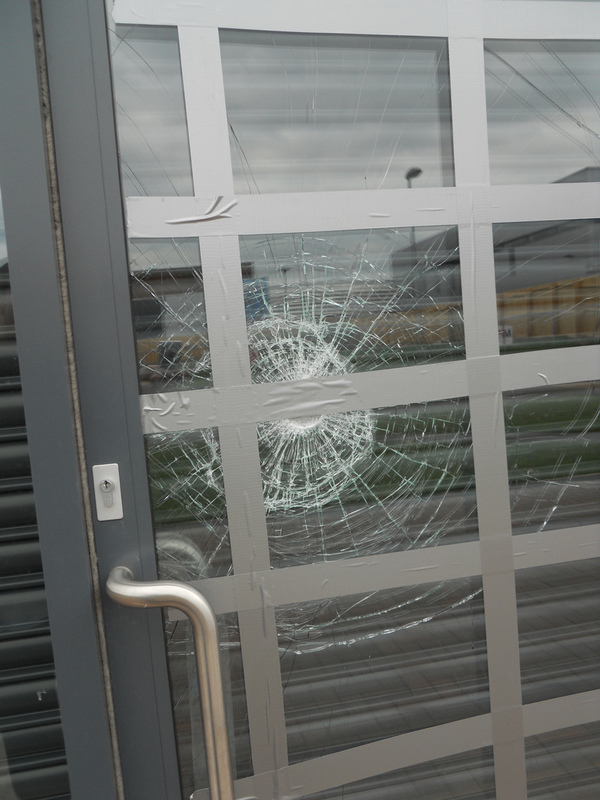 The main thing to remember is, if something in the home poses a threat to the health and safety of the occupant, or to the structure itself, the appraisal will probably be marked “subject to repair”. 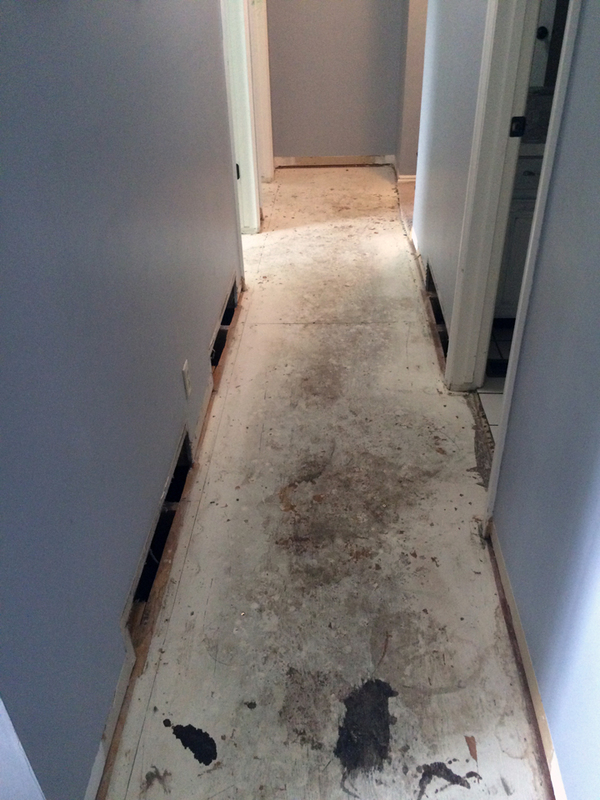 The homeowner will then have a chance to repair the deficiencies. If the homeowner chooses not to complete the repairs the loan will not be approved. We purchased a 1970’s home in 2011. What does a 1970’s home have a lot of? Oak . . . Oak cabinets in the kitchen and baths, oak banisters in the dinning and stairwell and of course oak floors. The good news is these floors have a lot going for them. 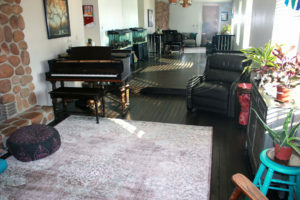 They are real wood, good quality, thick and hearty, hardwood floors. So, I couldn’t just tear them out and replace with my hearts desire. But, in order to stay, they needed to be refinished! My advice to you. . . hire a professional. Sure you could save money doing it yourself but on this one it is worth hiring out. 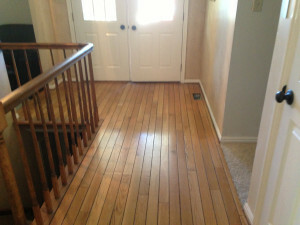 The dustless hardwood refinishing guys are wonderful and that dustless vacuum sander is worth it. I was pregnant during the process and smells and dust bothered me. I had no issues with the dust when refinishing the floors, the stain fumes was another thing but not something you can get around. We had a nice little stay-cation in our RV parked right in the driveway that made it easy, and very safe for pregnancy. Time – Your time is cut in half with a professional – it will take you at least double the time or more to diy. Cost – I was actually surprised at the professional cost. Do your homework and get more than one quote. This will save you money. Also consider that your DIY time is also money and factor that in to the professional price. Is what you might save worth the time and aggravation you will spend on the project? Take into account trips to Home Depot or Lowe’s, errors and fix ups. And factor in your chances of in the end, needing a professional to fix any errors or finish the job. Look – When researching a DIY floor refinishing project I was told again and again to go light instead of dark. It is said that the lighter look is easier to pull off by yourself vs a rich dark color. Well, I wanted dark, I got dark. And it looks awesome! Odor – This also falls into the time category. I was pregnant while we refinished our floors. We had to be out of the house while they were finished. If we had done the floors ourselves, we would have had to be out of the house for a longer period of time and I would have been exposed to harmful fumes while pregnant. It was a quick and easy two night stay in our RV while the professional handled all the work and fumes. Equipment – Chances are you don’t have all the equipment at your disposal and chances are you don’t have the knowledge or comfortability around the needed equipment. There will be a fee for the rental of the equipment but there is also a chance that you may actually damage your floors with the equipment. If you leave the drum sander in one area too long it can quickly create a dip in your flooring. A professional knows and uses this equipment to make their living. Dust – What I haven’t covered with dust yet is the fact that it will be everywhere if you DIY. I have been told that even when you rent the vacuums, DIY’RS still end up with a lot of dust. 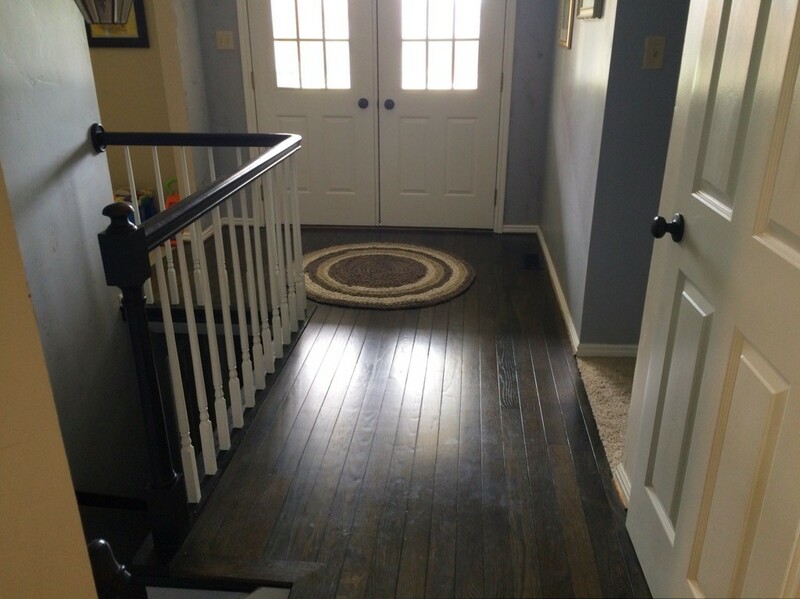 All in all, whether you go with a professional or do it yourself, refinishing your current hardwood adds value to your home and updates the look for prospective buyers, making it well worth your time and money! We refinished our hardwood floors and loved how much it transformed the feel of the home. 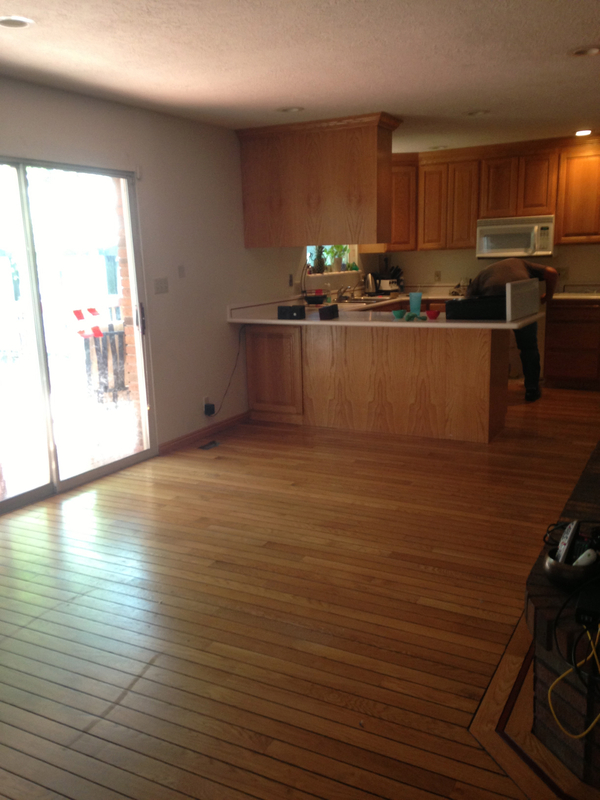 It brought a warmth to the place that we loved, but the dark wood next to our original honey oak cabinets looked odd. The oak cabinets are good quality solid wood and the interior were upgraded with custom slide-outs and just like the floor I couldn’t justify pulling them out just because I didn’t like the “look”. So began the search for just what to do with the cabinets. 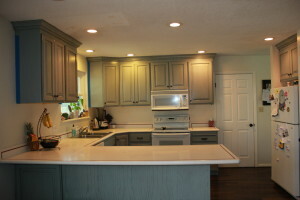 This lead us to the decision to refinish the kitchen cabinets with paint and glaze. 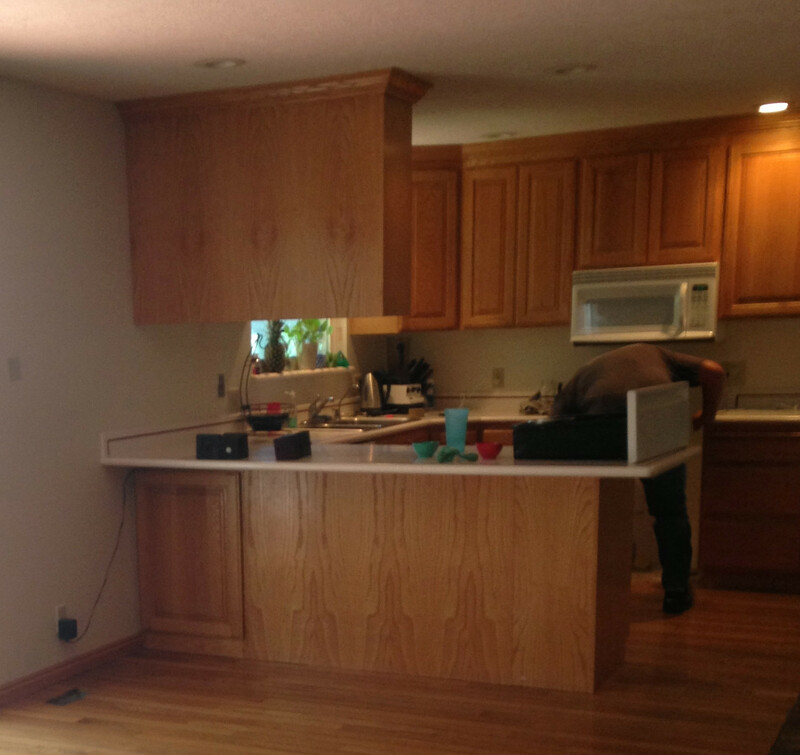 We took it a step further and removed one of the cabinets to create a more current, open space, that flowed easily from kitchen to family room. Our kitchen also has never had hardware on the cabinets. 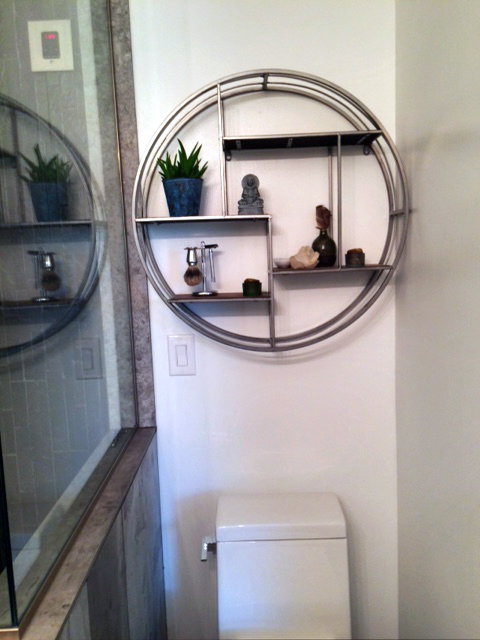 Adding some custom hardware helped to finish the look and bring it all together and was a quick and low cost way to add value. 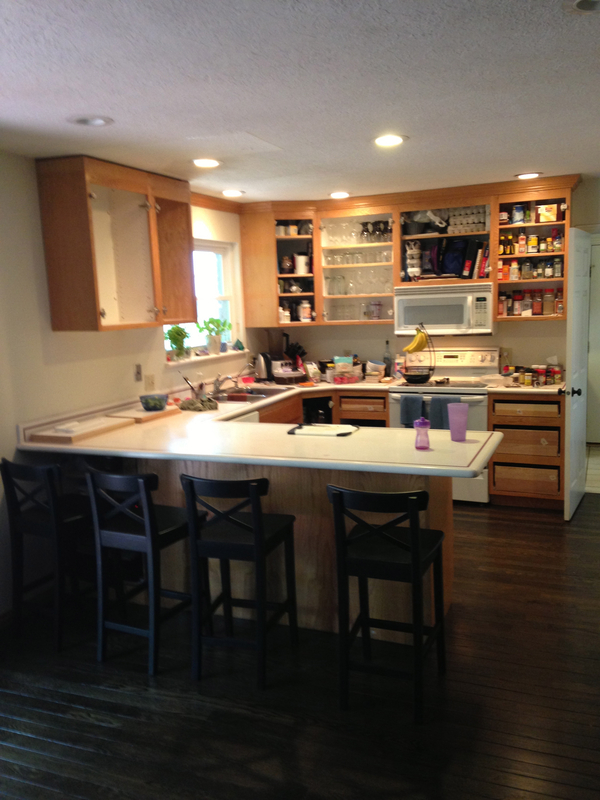 We love how it turned out and look forward to replacing the countertops! When looking at investing money into your home, you want to get the most bang for your buck. You want to put the least amount of money into your home and gain the most amount of money out by increasing the value of your home. When doing this, you need to take a look at your immediate neighborhood. What kind of upgrades will your neighborhood support? Let’s take a look at your kitchen. You could do several things yourself to increase the sweat equity of your home. You also might want to look to a professional for other parts of your kitchen. 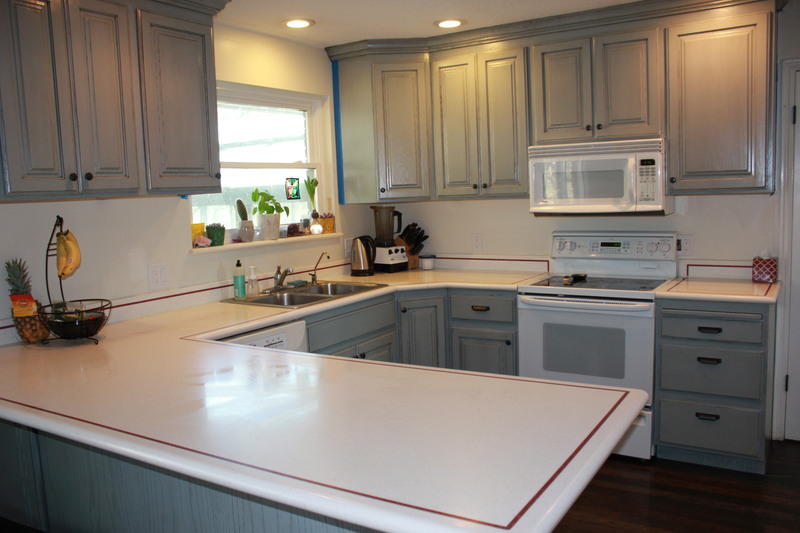 Looking at New Countertops? This is where you can easily look at what your neighborhood values will support. 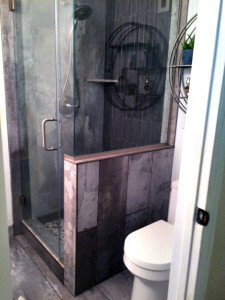 Do the homes around you typically have laminate, tile, granite, quartz, or other custom materials??? 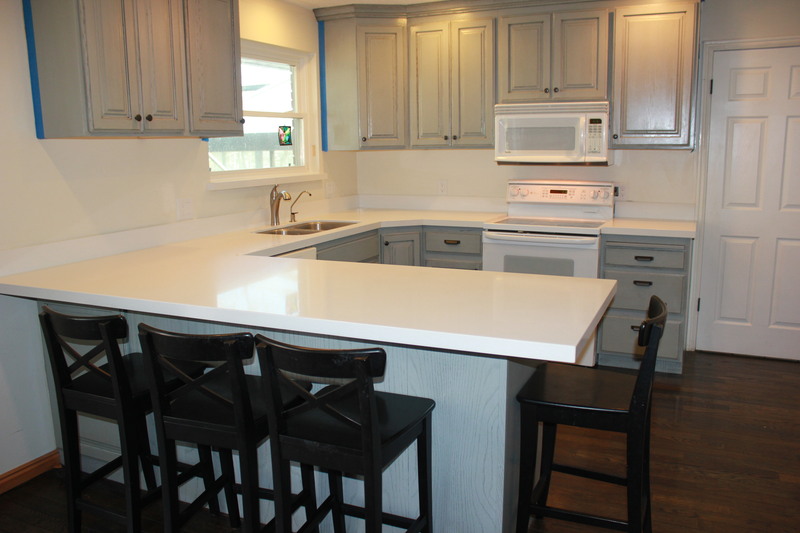 Find something you like, in your neighborhood value spectrum and hire out – the new countertops will be well worth the money spent and it will be a good selling point if you ever decide to move on. You aren’t looking at your neighborhood to create the exact same look as everyone else you are looking to see what updates your neighborhood supports. The biggest problem I see as an appraiser is people that over improve their home. You don’t want to have a gold house in a bronze neighborhood – it does you no good, as the value of your home is only supported by the similar competing homes in your neighborhood. If you have over-improved your property to the point that no one can compete it doesn’t add value but falls unfortunately under what is considered an over improvement and doesn’t return the money invested into an increased value of your home. So what will your neighborhood support? My current neighborhood has the entire spectrum of value. It has historical original homes, and new custom rebuilds. This makes it easy for me, as I can play with my updates and materials and create some unique costume features for my home – this in turn increases the value of my home, allowing me to recover my expenses. Our previous home was located in a more moderate valued neighborhood. 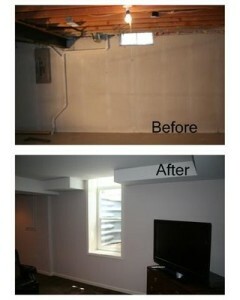 It allowed for bonus features like additional oversized garages but the kitchen and bath updates were not over the top. The point here, is know your neighborhood and plan your updates/remodel accordingly. Most buyers look first at the condition and updates in the kitchen and baths. These can be costly to redo but have an easier time adding value to the property. A pool addition on the other hand rarely sees the return of investment. Lets get back to new countertops as this is my most recent project. I am currently looking at quartz. Because my neighborhood is on the higher end of the spectrum, I really don’t want to waste my money on anything less. Granite is a much cheaper option but is really not as durable as I want it to be and it doesn’t have the “Wow” factor it once did for a resale market. My first advice to you on countertops is get a lot of quotes. I was originally looking at new quartz counters for the kitchen and then a cheaper Carrera marble for the bathrooms. I had 6 guys through my house with crazy high bids before I had a honest gentleman state, “You need two slabs for your kitchen and you can get your bathroom counters out of the two slabs as well, so you might as well go with the same material for all of your countertops.” This was news to me! “You pay for the entire slab, whether you use it or not, so you might as well use it,” said the guy. Wow!!! I can’t believe only one guy told me that. Second words of advice: know the square footage needed for your project. Looking back at the quotes, I had a lot of variation in the amount of sq. ft. needed for the kitchen. Some guys were taking advantage, charging me for way more square footage then I needed. Third, shop around for your materials. 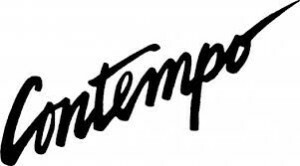 I ended up finding a company that allowed me to purchase my materials on my own from CONTEMPO Tile, where I was able to get a discount and ship the material to them. They fabricated the material and installed my counters for less then the bids with materials and labor provided and purchased from the same company. Our countertops dated the look of our kitchen and weren’t a selling point. They looked like certs breath mints and had a big heat crack that kept spreading. We struggled with the color of the new countertops – light or dark? We were set initially on dark but as time went on we switched to the whitest white we could get. I love the crisp look of the white counters and white appliances. 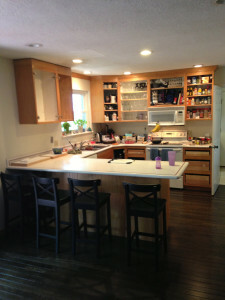 The counters have updated the look and finished off the kitchen remodel. Goodbye 90’s kitchen. 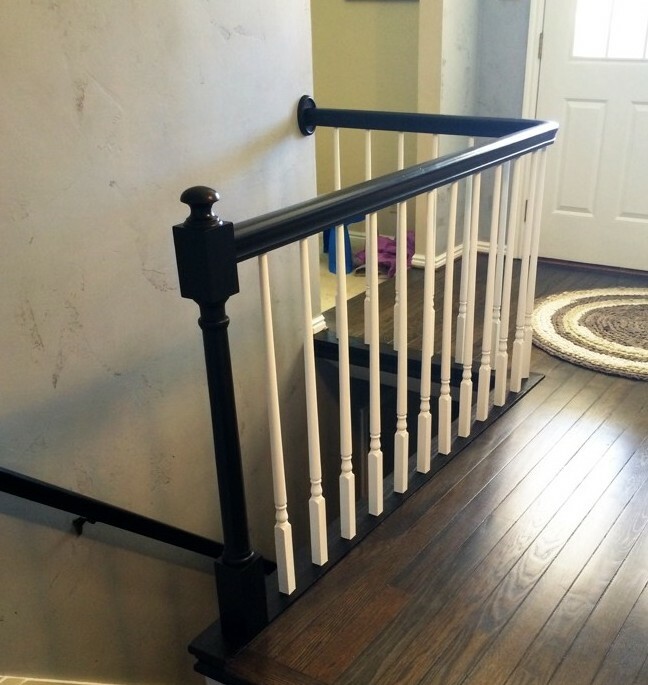 Two years after we refinished our hardwood floors, we finally got around to updating the banister handrail. It wasn’t that we didn’t need or want it done – it was that we thought we had to hire a professional for the job and that was pricey. But while waiting for the professionals to update the bathroom and having no control over it; I decided to take control of what I could do rather then worry about what I couldn’t do – updating banister handrail was something I could handle. Although I was initially nervous over starting, now that I am on the other side I can’t believe how quick and easy the project was – WHAT TOOK ME SO LONG??? Sanding: Who wants to actually sand??? Do yourself a favor and use Klean Strip Liquid Sander on the areas you are going to gel stain. 1. Apply Klean Strip liquid sander in small circular motions focusing mainly to degloss and degrease. Chalk Paint: No need to sand or prime if you are painting spindles using chalk paint. It does have a bit of sticker shock but you don’t have to waste time and money with sanding and multiple primer coats – which cuts down on overall cost. 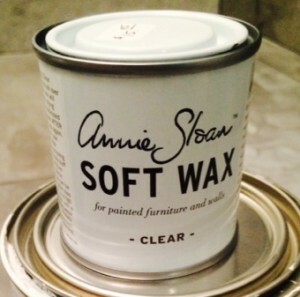 *Note: don’t stress over the first coat – there will be streaks but it will come together as you apply additional coats. Just make sure there aren’t any drips or areas thicker then others. *Note: if you need to take a break in the middle of painting you can place your brush in a plastic bag and store it in the fridge for future use without cleaning. This is very helpful when painting with kids around. 2. Let it dry!!! 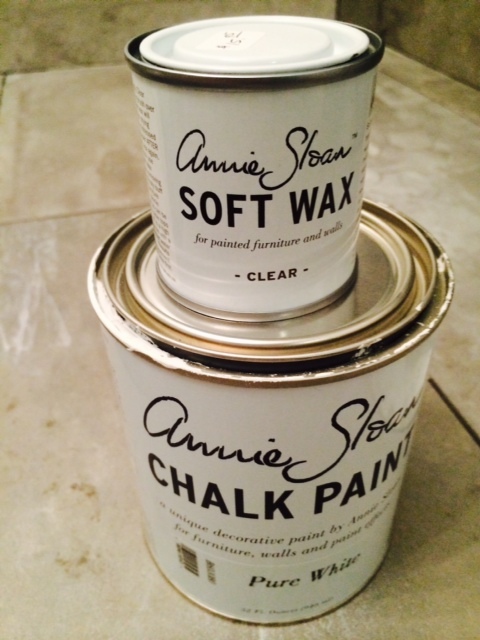 The chalk paint dry’s fast so don’t rush it! Wait until fully dry before applying next coat. *Note: don’t stress you might need more coats so just apply cleanly avoiding drips or puddling, it comes together cleanly and without brush strokes as you continue to coat. 5. Continue to apply additional coats as needed, letting it dry between coats. Mine took three coats but the lady at the store said some woods would need up to five coats. 7. 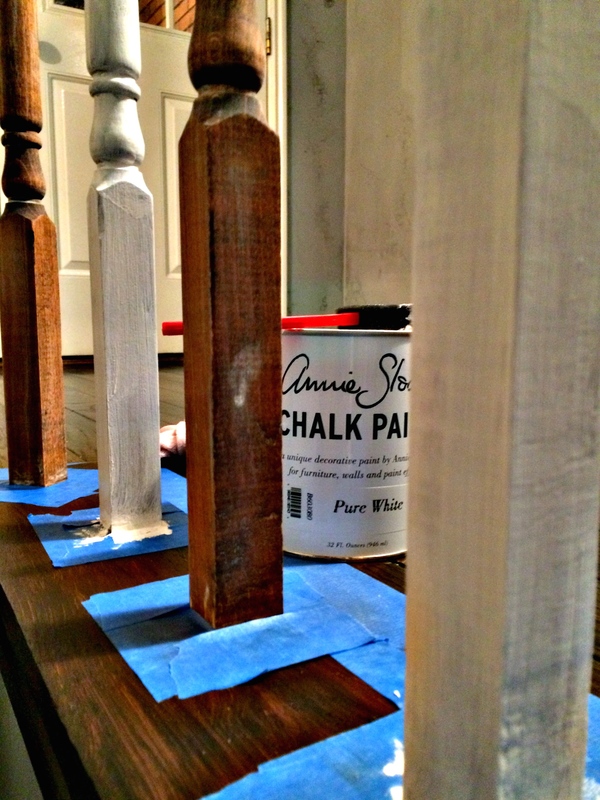 Tape off white spindles to prepare for gel stain. Gel Stain: This stuff is so easy to work with, make sure to ventilate. 1. Work in small areas applying the gel stain with a foam brush, paint the gel on the use the side of the brush to wipe off excess and rub gel into the wood. 2. Let it dry! The gel stain takes forever to dry – don’t rush it! Sometimes it took longer then 24 hours to dry – I think it might have been the moisture in the air from the weather. *Note: if it is still tacky wait for it to dry. There will be no tackiness to the wood when ready for the next coat. 3. Apply next coat as directed above. *Note: I thought that three coats of java stain would produce an almost black but it never got dark enough so I applied Black over the java, using two coats to make sure I covered all areas. 4. Buff with a microfiber cloth until desired shine is obtained.